This style of house is certainly very popular-I thought the perception of why this seems to be true is interesting. NEW YORK — Francis Fleetwood, who drew on the work of Stanford White to transform the architectural aesthetic of the Hamptons on Long Island from the relatively modest, minimalist beach houses that reflected postwar modernism to the shingled Victorian behemoths that evoke the Gilded Age, died May 8 at his home in Wellington, Fla. He was 68. The cause was a blood clot, his brother, Blake, said. 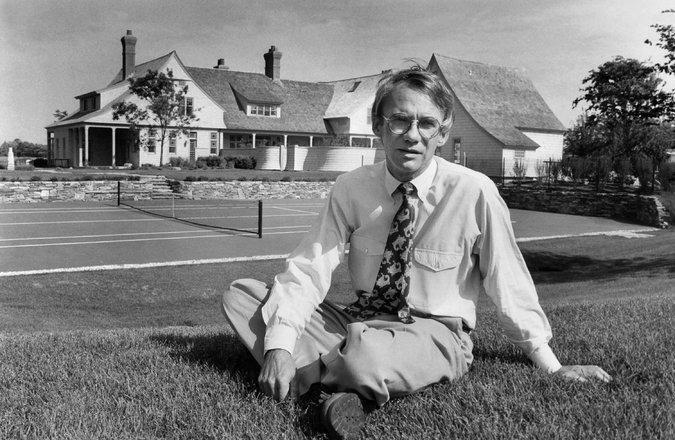 After opening his own firm, Fleetwood & McMullan, in 1980, Mr. Fleetwood designed more than 200 homes in the Hamptons, many of them encompassing tens of thousands of square feet, costing tens of millions of dollars and commissioned by clients who did not blink at the price. Among them were celebrities like Alec Baldwin, Lauren Bacall, Calvin Klein, and Paul McCartney, as well as private-equity investors and commodities traders who would let Architectural Digest photograph their trophy habitats on the condition that the magazine not reveal their names. Architects of the angular, flat-roofed houses that proliferated on the East End of Long Island in the 1950s and beyond also catered to the wealthy. But those buildings — made of wood, stone, poured concrete and glass — were unassuming by comparison. Mr. Fleetwood’s shingled, sprawling creations, produced for a more extravagant moneyed class, suggest a kind of homey grandeur. Francis Freile Fleetwood was born in Santiago, Chile. His father, Harvey, was a banker. His mother, the former Maria Freile, is a psychoanalyst. Besides his brother and mother, he leaves his wife, Stephanie; a daughter, Catherine Newsome; a stepson, Michael Orhan; three grandchildren; and two sisters, Carmen Paul and Charlotte Fleetwood. After moving to New York with his mother and older brother before turning 2, he attended the Dalton, Fessenden, and Riverdale Schools, graduated from Bard College and earned a master’s degree in architecture from the Massachusetts Institute of Technology in 1973. At Bard, before deciding to pursue a career as an architect, Fleetwood had different designs on the kind of capitalists who would become his clients. Before establishing his own firm, in East Hampton, he worked for an architect in Aspen, Colo., and for Philip Johnson in New York on the AT&T and Neiman Marcus buildings and other projects. His asymmetrical style featured gables, turrets and expansive porches that connected the interior of his houses to their typically spacious grounds and vistas. Another hallmark was a low, sweeping roofline with an Oriental curvature and red-brick chimneys that rose well above it. This entry was posted in architecture, building a house, entrepreneurs, history, Long Island, Manhattan, summer/beach houses, travel and tagged Beach house, History, Home & Garden, Home Improvement, New York, Summer house. Bookmark the permalink.